Could This Free-To-Play Game Be The Pokemon Game We've Always Wanted? Nintendo, are you being sneaky again? 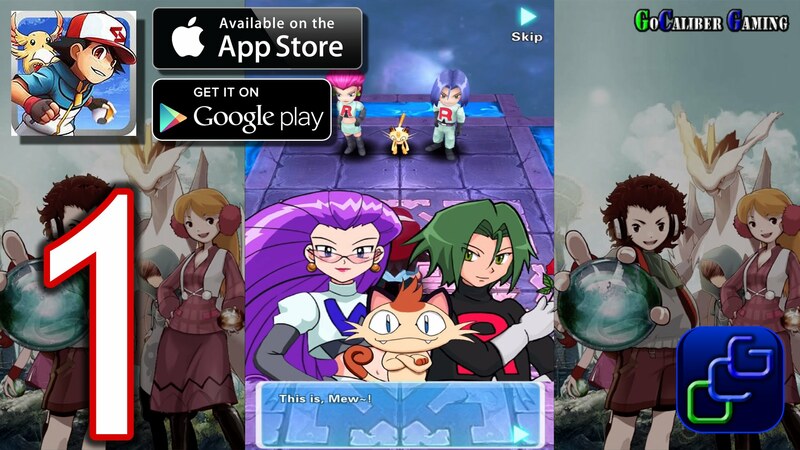 Mobile apps love to riff on Pokemon, but few do it this blatantly. Pocket Master for iOS is an interesting little app that talks a big game: over 500 "pets" for you to capture and evolve into fighting-fit monsters ready to take on other teams of "pets." It looks great, and probably more than a little familiar. If it doesn, that's because it's ripped assets straight out of Pokemon. But here's the weird part. Even though it seems a little janky and it's definitely not an official Pokemon game, it includes models of Pokemon, a 3D world to explore, turn-based battling and fantastic online components. It's exactly what we've all been clamoring for when it comes to the Pokemon world, so much so that reviewers are saying this could possibly be an official game undergoing top-secret testing as a soft launch title. Take a look at what you can do in the game and how great some of the monster models are. How else could some of this have come about? That seems to be the only answer, but if it's not Nintendo trying to trick us, perhaps the company needs to enlist the help of whomever's behind Pocket Master and get the ball rolling on the type of Pokemon game we've always wanted to play. As the mystery unravels, we'll bring you more details.